⇒ How to enable Adobe Flash Player || For all browsers || Up-to-date! 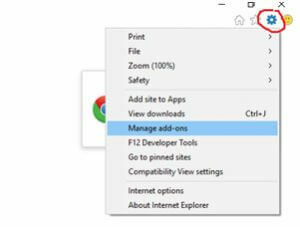 How to Enable and Disable Flash Player in your browser? 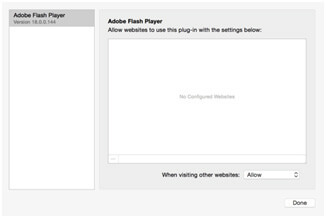 You will learn how to enable and disable your flash player in your website. 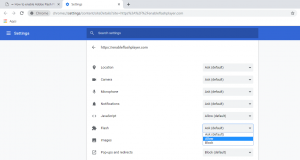 The process for enabling or disabling them will vary depending on the browser you are using since cookies are maintained by your web browser. 1. Open your Google Chrome browser, then click the lock icon, beside the URL. 2. Choose Site settings. Find Flash by scrolling down. 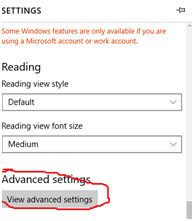 You will then see an option to Ask(default), Allow and Block. Choose Allow to enable Flash. 3. There you have it. Your Google Chrome browser can now use online resources that use Flash Player. 2. Once the dialogue box pops up, you will click Toolbars and Extensions. Scroll down the list to find Shockwave Flash Object. If it is disable, you can enable it. 3. That’s it. Now you’re Internet Explorer browser is ready to play anything that needs an Adobe Flash Player. 1. 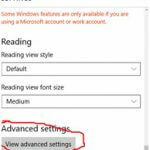 Activate your Microsoft Edge browser and click on the icon that resembled these three dots “…” on the upper right corner of the window. 1. Open your Mozilla Firefox browser and click on the icon that resembled three horizontal bars. 1. 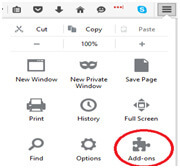 Open your Opera internet browser and click on the Menu. 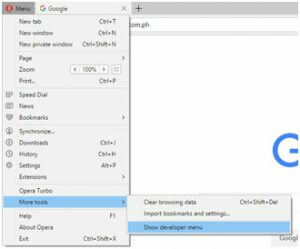 Once the options drop down, highlight More Tools and click on Show Developer Tools. 2. 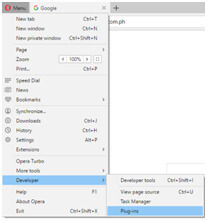 Click on the Menu button again and you will see the Developer Tools option has become available. 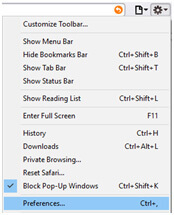 Highlight the Developer Tools to make another options window pop out and click Plug-ins. 3. Find the Adobe Flash Player plugin and enable it. 1. Open your Safari web browser, find the gear icon, click it to access the drop down menu and then click on Preferences. 2. Click the Security Tab once the dialogue box appears and click the Manage Website Settings buttons. What Is Flash Player And Why Do You Need It? 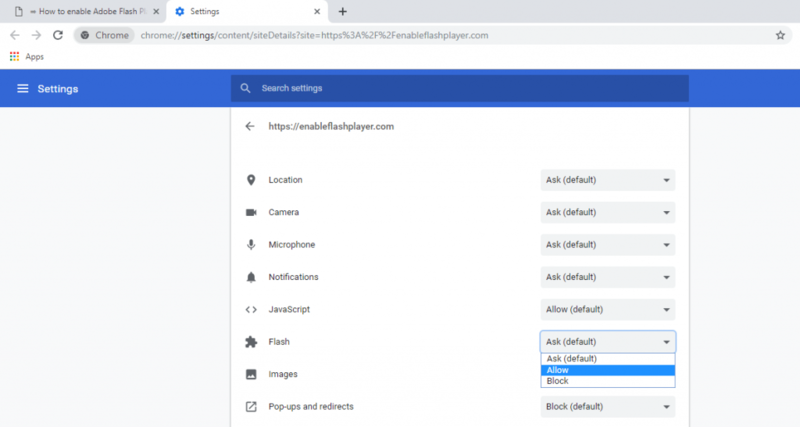 Although it comes in different names depending on the browser, Flash Player is basically a free software that allows you to host a number of different media files that would have otherwise been unplayable. It was first developed by Macromedia, but it’s mostly associated with the distributor Adobe Systems. When used on browsers, the software comes in the form of a plug in. This would then interact with the version embedded in web pages that would allow it to do things like play games or interact with certain types of content. 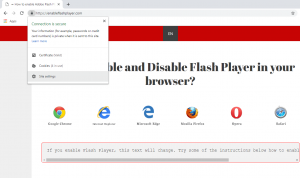 There are several reasons why you would want to have Flash Player embedded in your web pages, but the most important would have to be the fact that it is the single most popular multimedia platform in the world. This effectively makes it the default software that most developers base their projects on, especially when it comes to video games. When you use Flash Player, you have significantly more options on the types of media and the sources of those media that you host. This expands your choices of content that you can offer your visitors, which will only ever be an advantage for any web manager. There’s also the fact that it’s completely free and this is despite the fact that it is a highly reliable platform. You don’t have to worry about security issues or problems with functionality since it’s always updated. This means that there is no limit to the kinds of things that you are able to do with Flash Player, at least as long as you stick to the standards that Adobe has imposed. 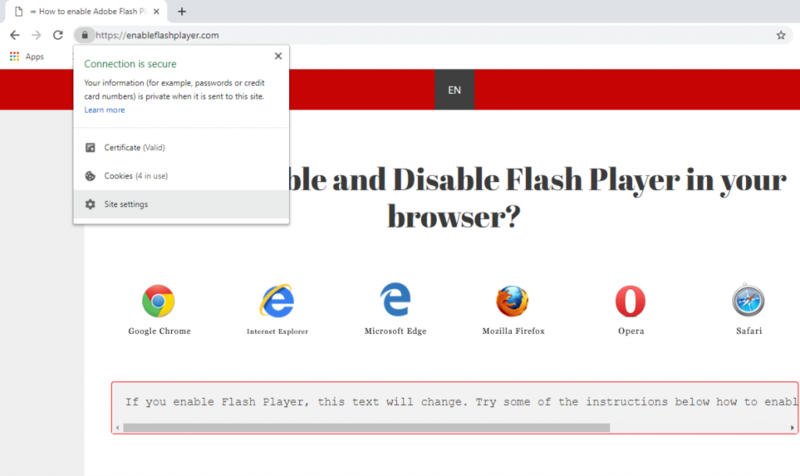 Finally, you want to use Flash Player because it is incredibly simple to setup. For both novice and veteran web managers, efficiency and simplicity are important because it saves them a lot of time and effort. Regardless of which part of the spectrum you fall into, you would most likely agree that choosing the simpler option is always the most logical one. Have you ever been around annoying people who always seemed to know the correct shortcuts to the many functions of the VLC player? What made them even more annoying is that you never seemed to be able to identify their source. Like, where did they get all those shortcuts? Well, worry no more. That’s exactly what VLC Shortcuts is for. Through this site, you’ll be getting the lowdown on all those shortcut keys that always seemed to intimidate you and make you feel less worthy to be using a VLC Player. Now, you won’t ever have to feel that way again. 1412 visitors rated enableflashplayer.com/ with an average 4.7 stars out of 5.